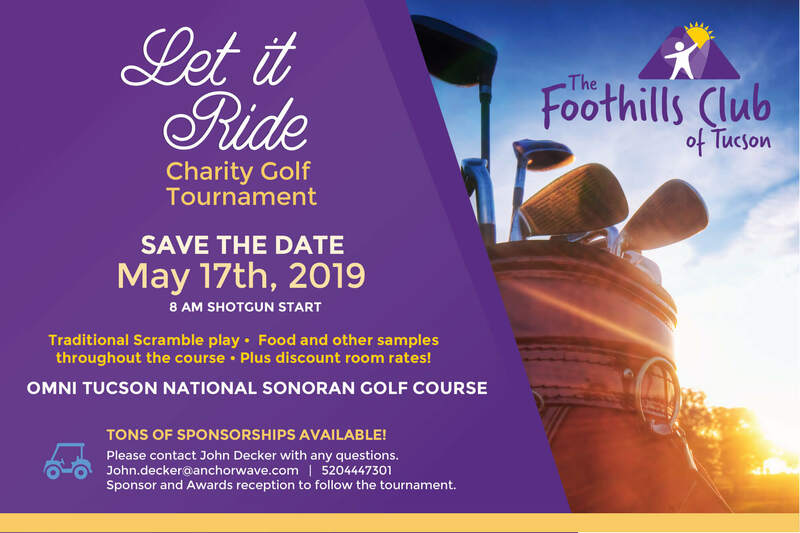 It is with great enthusiasm that we announce the Annual foothills Club of Tucson Charity Golf benefiting the Foothills Club of Tucson (FCT) on Friday May 17th at The Omni Tucson National. We are returning to a traditional 4 man scramble with an 8 AM shotgun start. This year the rules may change but the fun will continue. We will have plenty of food and drinks on the course for our golfers to sample. In addition to food and drinks you can expect awesome raffle prizes, free goodies and of course the satisfaction of knowing you are helping a local charities! Proceeds go to supporting Children's Charities around Tucson. Most fun you can have in the Foothills! Opportunity to Host a mixer at your business. 144 golf towels with your company logo.